Blackfire Super Degreaser is a powerful degreaser that not only loosens, but dissolves grease and grime. 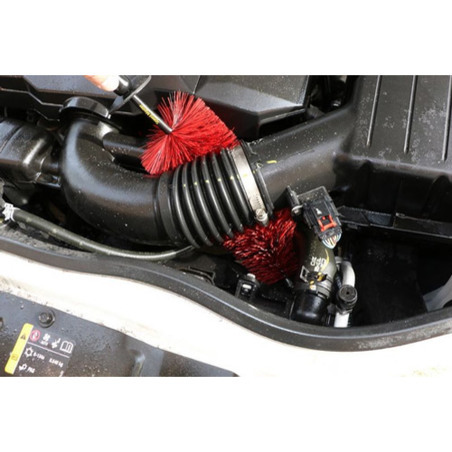 This degreaser was formulated using highly-effective cleaning agents that are able to penetrate through types of contamination that other cleaners may fall short on. The proprietary ingredients used in Super Degreaser will work to not just loosen, but dissolve the grease and grime. While it is extremely powerful, it can easily be diluted for optimal results in whatever purpose you need it for. This makes it an extremely flexible product. 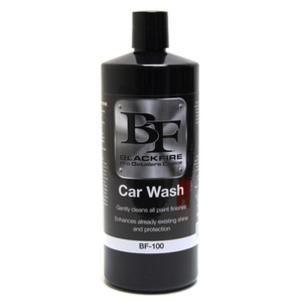 Whether you have oil and grease build-up on the engine compartment or road grime on your undercarriage, Blackfire Super Degreaser is the solution. Simply dilute it to the ratio that is required for each task. The phosphate and residue free formula means it is biodegradable and safe for use in all environments. Being careful of overspray, spray Super Degreaser onto the surface to be treated and allow to dwell for approximately 5 minutes. Depending on the severity of contamination, use an all-purpose brush to agitate the surface before rinsing completely away.